Revel in the musical opulence of the high Baroque era with chamber musicians Byron Schenkman and Friends. The group, featuring renowned harpsichordist Schenkman, will present the chamber works of Vivaldi, Bresciannello, de Boismortier, and more. Byron Schenkman and Friends will perform at 7:00 p.m. on April 20 in Central Washington University’s McIntyre Music Building Recital Hall. General admission is $12.00; for seniors, alumni, and CWU students with ID, tickets are $7.00. Tickets may be purchased at www.cwu.edu/music. Schenkman, with Joshua Romatowski, flute; Debra Nagy, oboe; Anna Marsh, bassoon; Ingrid Matthews, violin; and Nathan Whittaker, cello, will play a full program of unique baroque gems, including Vivaldi’s Sonata in D Major for flute, violin, and continuo; and Anna Bon’s Sonata in C Major for harpsichord. The concert ends with Vivaldi’s rousing Concerto in D Major (Il Gardellino), for flute, oboe, violin, bassoon, and continuo. 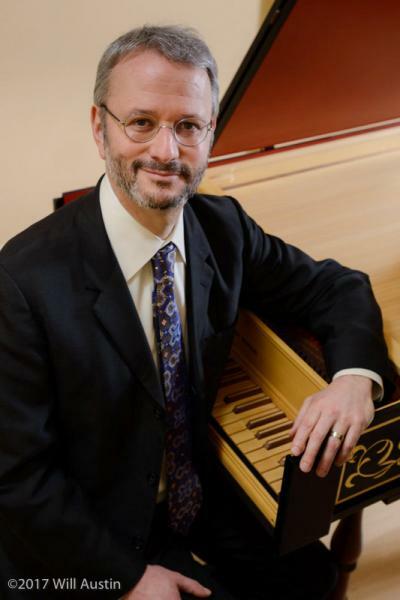 Byron Schenkman has recorded more than thirty CDs of 17th- and 18th-century repertoire, including recordings on historical instruments from the National Music Museum, Vermillion, and the Museum of Fine Arts, Boston.